College men are an important population within the university community. There is concern that sometimes minimal work is put towards supporting collegiate men and the conflict that they experience related to their gender. While, there are a lot of collegiate faculty and staff that work with college males, more knowledge can be disseminated that specifically focuses on masculinity. There is a growing body of interdisciplinary research that focuses on the student development, success, and challenges related to college males. Current research indicates that collegiate men are more likely to be engaged in high-risk behaviors and less likely to graduate on-time when compared their female counter parts. High-risk behaviors that are most concerning at Miami include sexual misconduct/assault and the high level of alcohol consumption among many male-identified students. The issue of masculinity ties directly into aspects of academic success and student wellness. 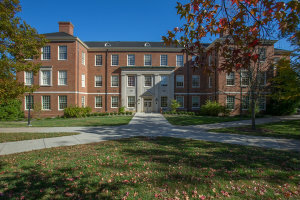 Thus far, many offices across Miami University have engaged with aspects concerning masculinity, however to date many activities have not been coordinated. We envision this learning community, by engaging faculty, staff, and students, will provide a temporary structure for such coordinated discussion, which we are hopeful will lead to more coordinated efforts across the institution. Considering the 2020 plan, student success is a critical component of the plan and to this learning community as it relates to college men. One of the goals of the learning community is to build a community that is committed to developing healthy masculinity among college males. This learning community aims to inform leaders at Miami what strategies may be effective for positively impacting these concerning behaviors. Miami University is committed to ensuring a safe and healthy learning environment for all students. Student learning can easily become obstructed when collegiate men engage in toxic masculine environments that supports a variety of unhealthy behaviors. More work, research, and knowledge can support faculty and staff who work with collegiate men on a daily basis creating a safe and healthy learning environment at Miami University.